Wine has always been a part of Iranian culture. References to it even appear frequently in poetry. But since the 1979 revolution, alcohol has been banned in Iran -- punishable by flogging, fines, and jail time. Despite the stiff penalties and the confiscation of millions of liters of alcoholic beverages, Iranian officials say consumption is on the rise. 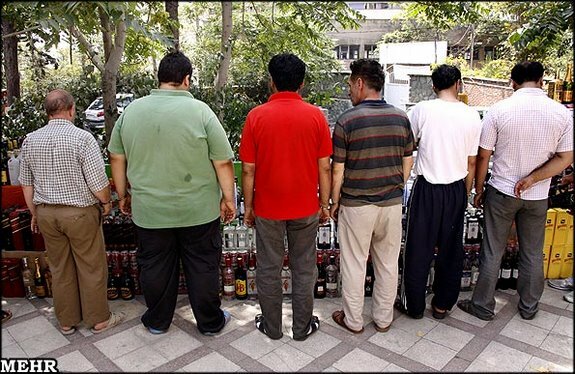 The possession, production, and consumption of alcohol is strictly forbidden in the Islamic republic and police often raid smugglers and illegal parties. The country's newspapers reported earlier this week that the amount of confiscated alcohol has increased by 69 percent in the past year. Deputy Health Minister Alireza Mesdaghinia expressed concern on June 13 about an apparent increase in "abnormal behaviors such as alcohol consumption," which he said has damaging health effects and goes against the religious and moral norms of Iranian society. "Personal reasons are the most important factors which lead to the spread of alcohol consumption in society,” he said. “Some think this is a way [to cope] with their frustrations." Mostafa Eghlima, the head of Iran’s Social Work Society, suggests that drinking alcohol is a means of escape for some Iranians. The head of the Health Ministry's Policy Making Council, Bagher Larijani, warned last month about "worrying" reports from hospitals and physicians over high alcohol consumption in southern districts of Tehran where poorer families reside. But he also said alcohol abuse is a significant problem in other parts of the country, and urged the government to devote more attention to the issue. "We should be sensitive about this issue and pay attention to it even more than we do to other ailments, such as diabetes or cardiovascular diseases," Larijani said. Officials say there are some two million drug addicts in Iran, many of whom are also addicted to alcohol. 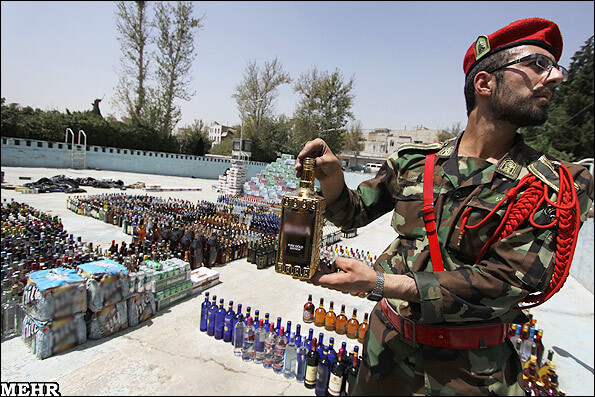 According to media reports, every year up to 80 million liters of alcohol are smuggled into Iran -- a third of which is confiscated. Other alcoholic beverages, including homemade Armenian vodka, beer, whiskey, and French wine, are widely available on the black market. Iranians can buy bottles at shops that sell them secretly and bootleggers who quietly make home deliveries. Some Iranians also make their own homemade liquor. And Christian minorities are exempted from the ban. There are also reportedly some factories that covertly produce alcoholic drinks. In recent years, there has been an increasing number of reports about people who have died or lost their sight from the consumption of alcohol manufactured inside the country. Last month, Iran’s "Shargh" daily quoted official figures, which suggest that it takes 22 minutes to get access to drugs in the Islamic republic and only 17 minutes to find alcohol. Despite an ongoing police crackdown, Eghlima maintains that alcohol is widely available at parties. "There is no wedding party without a special room for those who want to drink alcohol and have a good time," he says. A man in Tehran, who asked that his name not be used, told RFE/RL that he sometimes had "a few drinks with friends to relax and forget all [my] problems."